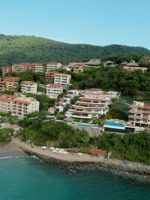 Located less than 15 minutes away from the town of Zihuatanejo and about 20 minutes from the airport, this expansive Pacific Coast, all-inclusive hotel offers something for the entire family. 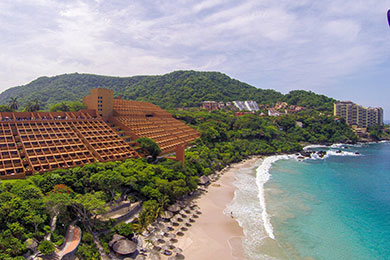 La Brisas is so expansive that it is easy to find fun and quiet all at the same resort. 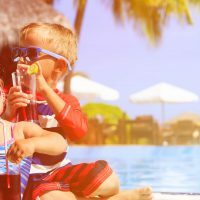 Children will love to spend time at the pool, beach and kids’ club and at check-in, they can enjoy some arts and crafts. 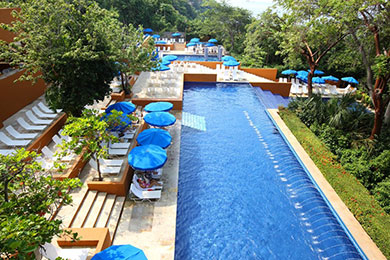 Meanwhile, parents and grandparents can enjoy the adults-only pool, specialty restaurants and spa. 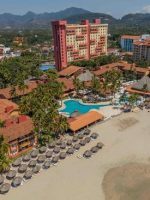 If you are looking for a Mexican beach vacation that fits multi-generational needs, this is the resort for your family. 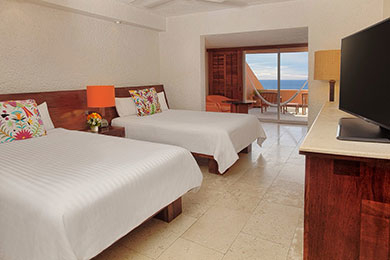 Most of the 416 guestrooms and suites feature an ocean or partial ocean view. Cribs and connecting rooms are available upon request. Complimentary Wi-Fi access is available in the rooms. 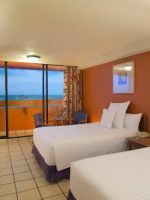 The spacious guestrooms feature a king or two double beds, a stocked mini-fridge, a hammock and chairs on the terrace or balcony and a couch that doubles as a daybed in a small sitting area. The guestrooms feature a laptop safe, flat-screen television, a coffeemaker and a stand-up shower in the bathroom. Additionally, there are six premium suites and 20 junior suites available and each has a private pool or whirlpool on the terrace or balcony, lounge chairs and a hammock. The suites feature a separate living room and dining area and two bedrooms, one with a king bed and one with two double beds. The mini-fridge is fully stocked and replenished daily, based on the all-inclusive package you have chosen. The suites feature a laptop safe, three televisions, a coffeemaker and 2.5 bathrooms with stand-up showers. The junior suites are most for couples, however a small child could sleep on the couch that doubles as a daybed. Getting to the beach is somewhat unconventional at this resort. An elevator or stone steps (many stone steps) are the only way down to the white sand and ocean. However, once your feet hit the sand, you will want to stay all day. 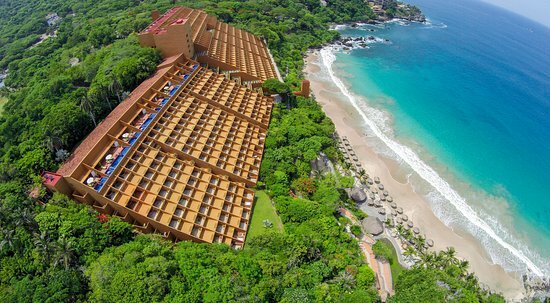 La Brisas features the only private beach in Ixtapa because it sits in a bit of a cove and the ocean waters are often calm. Lounge chairs and palapas line the sand, along with hammocks, and there is a snack area available. There is a lifeguard on duty during the busy season. Pool or beach towels are provided and there is a restroom and outside sand showers available. Four pools fill this resort - two family pools, one adults-only and one kiddie pool. The pools are all situated near each other and overlook the beach. The kids' club is also not far away from the pool area. There are numerous lounge chairs surrounding the pools and showers for rinsing off as well. There is a lifeguard on duty during the busy season. Pool or beach towels are provided and the pool is open from about 9 a.m. to 8 p.m.
Marian and Thomas, the kids' club mascots, are happy to greet the kids throughout the resort. They will walk around from time to time, and like to hang out at the Kids' Club. 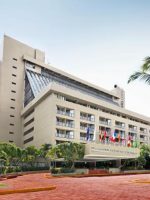 The Kids's Club, situated near the pool area, is open from 11 a.m. to 5 p.m. daily, but is closed for lunch from 2 to 3 p.m. Parents are welcome to leave their children (ages 4 to 12) with the supervised staff, but asked not to leave the hotel in case of any emergencies. The kids will enjoy playing games, making arts and crafts and doing eco-friendly activities both inside and outside. An activity schedule is posted for the week. Several times throughout the year, the hotel collects turtle eggs, keeps their nests safe and then releases the new born baby turtles into the ocean -- all with the permission of the government. The turtle egg nest is kept covered and guests can keep an eye on when the turtles are expected to hatch. The baby turtle releases happen at sunset usually during the rainy season between May and November. Nearly 17,000 turtles hatch each year, but for every 1,000 turtles only one lives to be an adult. Ping Pong, volleyball (pool and beach), soccer, tennis and basketball can all be found throughout the hotel. 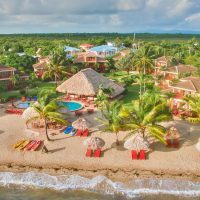 Three different packages are available to choose from at this resort, making it convenient for whatever your family's needs may be. 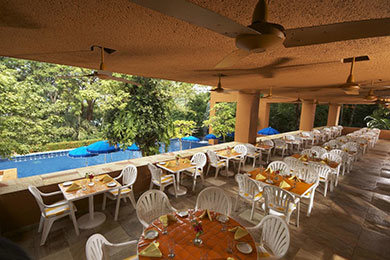 The all-inclusive package includes all meals and alcoholic drinks. 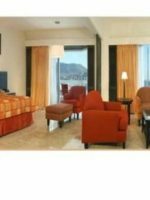 The breakfast package includes just the breakfast buffet and the basic package includes only the room and no meals. A kids' menu is available at all of the restaurants and children under 6 years old eat free. Guests must make dinner reservations with the concierge for the specialty restaurants and it is recommended to do this as early in your stay as possible; the specialty restaurants offer limited seating. Serving a delicious breakfast and dinner buffet, this open-air restaurant overlooks the ocean and offers breathtaking views while enjoying your meal. The kids will love the kid-size breakfast buffet, too. This specialty Mexican cuisine restaurant requires a reservation, but children are welcome. Select seating times on select days are available and dress is resort casual. Located on the beach, this beach hut offers snacks, seafood and cocktails from about noon to 6 p.m. daily. Sit at tables by the snack bar or have your food delievered right to your beach chair. A small deli/coffee shop is available near the lobby and offers sandwiches, salads, candy, pastries and coffee. It's a nice place to enjoy a quick breakfast. The open-air Lobby Bar is an ideal meeting place to enjoy a glorious sunset. There are plenty of cozy chairs, often a nice breeze and a full-service bar. Guests often applaud at the conclusion of the natural show. The Solarium is open for late breakfast and lunch from 11 a.m. to 6 p.m. and offers light Mexican cuisine. This adults-only, specialty Italian and Mediterranean restaurant requires a reservation and offers select seatings on select days. Dress is summer formal. This adults-only, specialty restaurant requires a reservation and is open from December through April. Dress is resort casual. Complimentary Wi-Fi is available throughout the hotel, but there is an upgrade charge if you would like to stream movies or enjoy faster internet service. Boutique shops and sundries shops in case you have forgotten anything can be found near the lobby. Excursions and tours can coordinated at the hotel. And a La Brisas specific ecological tour takes place twice a week. A guide will take guests through the property to look for birds, plants and other wildlife that can be found throughout the expansive resort. A fitness center with cardio and weight machines is open 24/7. Babysitters can be provided for an additional cost and with 24 hours notice. Winter is the busiest season at this tropical hotel but truly it is always busy here. Most people (both local and international) are visiting from the end of October through the end of April. January, February and March are busiest with travelers from the United States and Canada and the Easter Holy Week is busiest for Mexican travelers. Be prepared to walk when stayed at this resort. The expansive property never feels crowded, even when at full capacity, but that luxury comes with a long stroll to almost anywhere. Stone stairs or an elevator need to be taken to reach the beach and while strollers can be used at this resort, they won't always be easy to navigate depending on your destination. 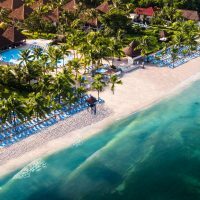 A small, open-air shuttle does run regularly from the top of the beach/pool area to the guestrooms, as well, and guests also have the ability to call for the shuttle if its off hours. The shuttle schedule is usually posted by the pool each day. 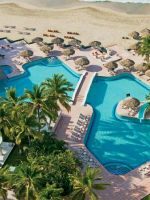 The adults will love to spend some alone time at the adults-only pool and the adults-only restaurants. There are two golf courses located less than five minutes away from the resort.